Militants struck artillery attack on a peaceful village. 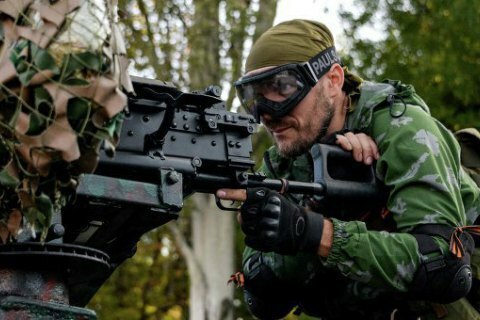 Donbas militants on 13 June night struck an artillery attack on the village of Artemovo, a district of the city of Toretsk. One of the shells hit the house on the 6 Hornyatska St., killing a 85-year old woman. The Donetsk regional police said a more detailed report on casualties or damage was pending. An investigation is underway on the charges of terrorism, the police said. Update. The press service of Kramatorsk local prosecutor's office said the shelling was carried out from the outskirts of Horlivka. The terrorist used 152 mm self-propelled artillery, banned under the Minsk agreements. The release says a soldier that received a shrapnel wound was another victim of the shelling. The city of Toretsk (former Dzerzhinsk) was shelled twice over the past three days. On the night of 11 June, about ten houses of civilians had been damaged by the shelling, as well as the building of the State Service for the Protection of the City. Earlier the UN said in a report that 14 civilians have been killed and 99 wounded in the Donbass war the period from 16 February to 15 May this year.